The writer of this story (Devin Friedman) described the opener as a an exact visual expression of the perplexing, home-brew tattooed rapper that Lil Wayne is. 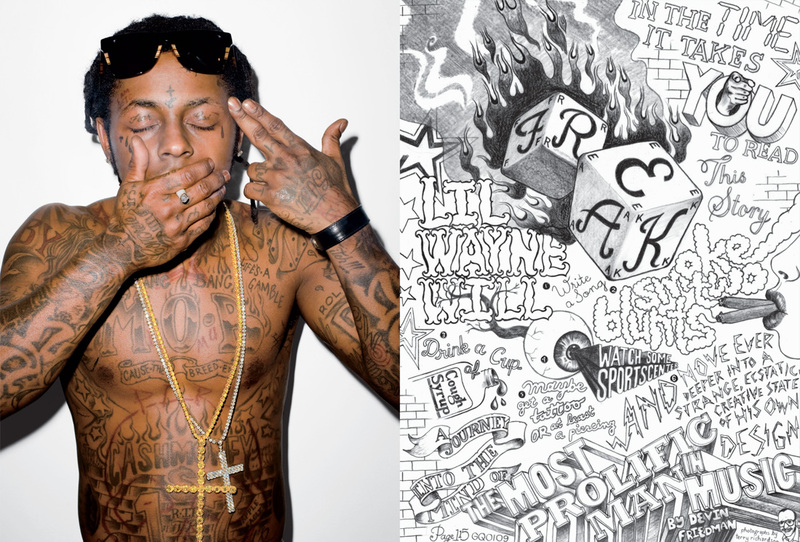 The full page of drawings was informed by the dek, which was written as a list of the variety of things Lil Wayne would do in the time that it would take to read the article. I think this one also takes the prize for "most hours spent on one opener" during my time so far at GQ.